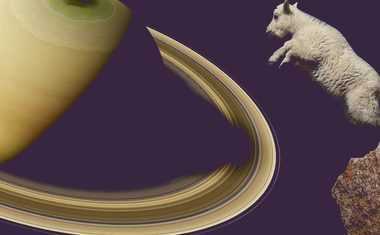 Saturn is turning retrograde, moving backward through its home sign of Capricorn from April 29 to September 18, 2019. This planet of order's retrograde period is a time to cultivate discipline, patience, and self-restraint. When faster moving planets like Mercury or Mars go retrograde, confusion typically reigns. But that's not necessarily so with slower moving planets. Saturn Retrograde may actually help us see things clearer by shifting our focus from the external to the internal, which may even empower us to move forward! Strict Saturn is infamous for keeping other planets and zodiac signs in check, and in this way it helps remind us all of our own limitations. 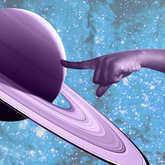 As the "karma planet," Saturn tells us what we are and are not allowed to do, and what society expects from us. When strict Saturn is direct, it can be a bit of a buzzkill. But in retrograde Saturn gives us an opportunity to look over our personal set of rules. We have the chance to see what kind of internal and emotional factors motivate us ... including fear. Saturn in reverse means that the external boundaries we live within take a backseat to our rich inner world. We'll trust ourselves enough to question these boundaries, and because retrograde with any planet is a prime time to look back on our personal paths, we can examine failures and let-downs, learn from them, apply these lessons to how we'll conduct ourselves in the future ... then move on. 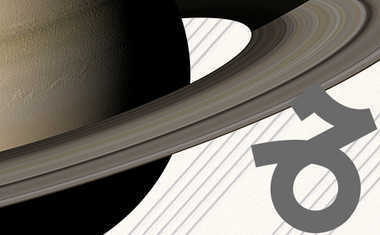 When Saturn goes direct again on September 18, we'll stop feeling quite so free to play with our personal processes. Until then, self-awareness can be very healing and will ultimately make us more productive as a whole! Before Saturn goes retrograde on April 29, consider what you're allowing to hold you back so you can work on it over the next couple months -- you have Saturn's permission!